Whats On Darwin is an easy to use, attractive, informative website describing Darwin in general, what there is to do in Darwin and whats on in Darwin. You'll like what you see; wether your a local wanting to check out the nightlife & entertainment Darwin has to offer or a tourist / visitor wanting to know what goes on in Darwin or plan a trip to Darwin, "Whats On Darwin" is for you. Whats On Darwin is owned and operated in Darwin. Being locally operated Whats On Darwin can supply you with the most up to date, extensive and informative information possible. "You found us, your potential clients will too"
As a Darwin based small business, Whats On Darwin is committed to providing a competitive low cost advertising vehicle to other local businesses. Check out our advertising options below and please feel free to contact us for further details or information. 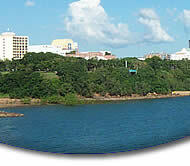 You can list on Whats On Darwin under the following categories; Pubs & Clubs, Restaurants, Attractions or Events. There are two types of listings available under each category, a basic or full listing. A basic listing consists of your name, contact details and a brief description. While a full listing entitles you to your name, contact details, web link (if applicable), description and a picture / logo (2 images). There are also extras available like a sample menu (Restaurants), entry details (Attractions), longer descriptions and extra pictures / logos. Click here to view a sample listing, both basic and full. 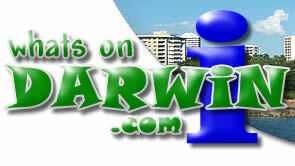 Whats On Darwin’s Gig Guide is up to date and comprehensive covering all types of Darwin gigs. The Gig Guide is updated weekly. A Gig Guide listing includes the gigs name, gigs venue (linked back to basic or full listing if applicable), time of gig and a brief description of the gig. Banner adds are displayed on Whats On Darwin down the right hand side of the site and at the bottom of the site. There are two types of banner add; a small (right hand side) and a large (bottom). A small banner add is 110 x 120 pixels and can be 1 or 2 frames and a large banner add is 400 x 50 pixels and can also be either 1 or 2 frames. Along with the display of banner adds, Whats On Darwin can also design your banner add. The Whats On Darwin Beat provides businesses with many advertising options, from newsletter sponsorship and banner adds to feature articles and guest spots. As you can see there are many different advertising opportunities available with Whats On Darwin. Please contact us to discuss your advertising options and an advertising package that best suits your business.